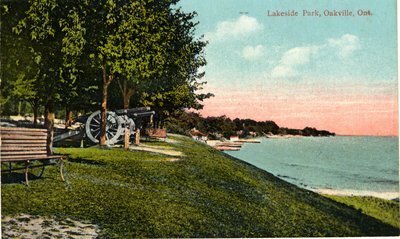 Photo of the historic Lakeside Park which was established in 1829 and is located on Front Street near Thomas Street. The park is also home to Oakville's first Post Office. Date of postcard unknown.